Autumn is often a melancholy time as the days shorten, temperatures drop and the first signs of winter approach. 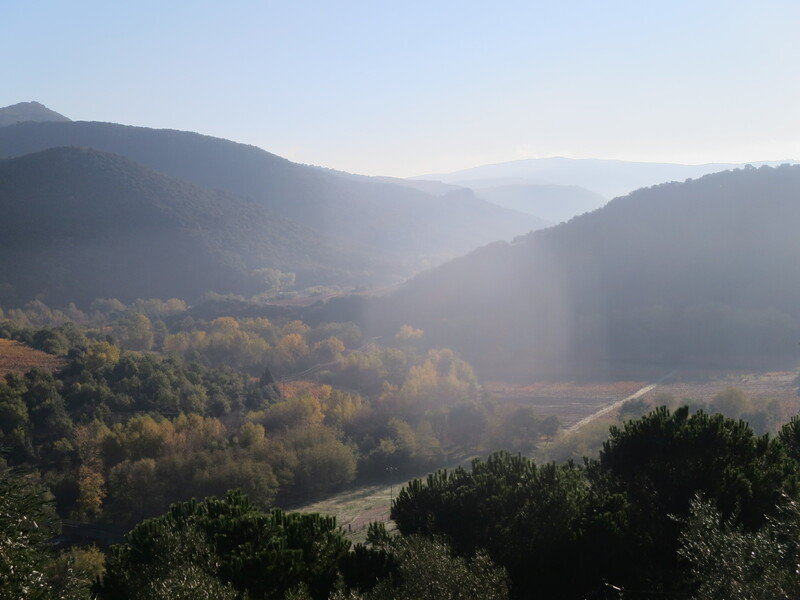 And yet 2015 in the Languedoc has seen a most untypical autumn. Last week the warmest November day ever was recorded and we have enjoyed blue skies, warm sunshine and hot afternoons, 26°C has been regularly seen on our garden thermometer. The resulting sunshine has produced the most breathtaking scenery, with colours across a wide spectrum of autumn. As I wrote on the Out And About page, every time you turn a corner there is another heart stopping view. 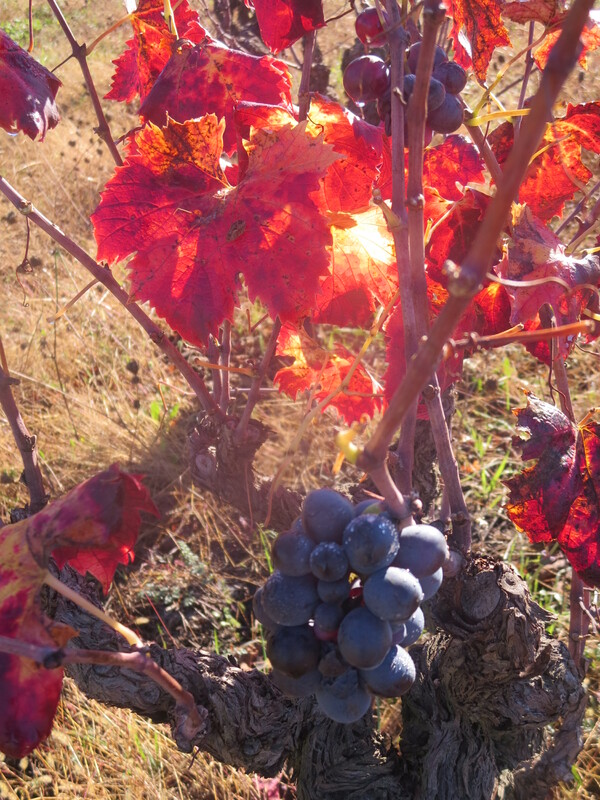 The vines are now closing down, preparing for winter. 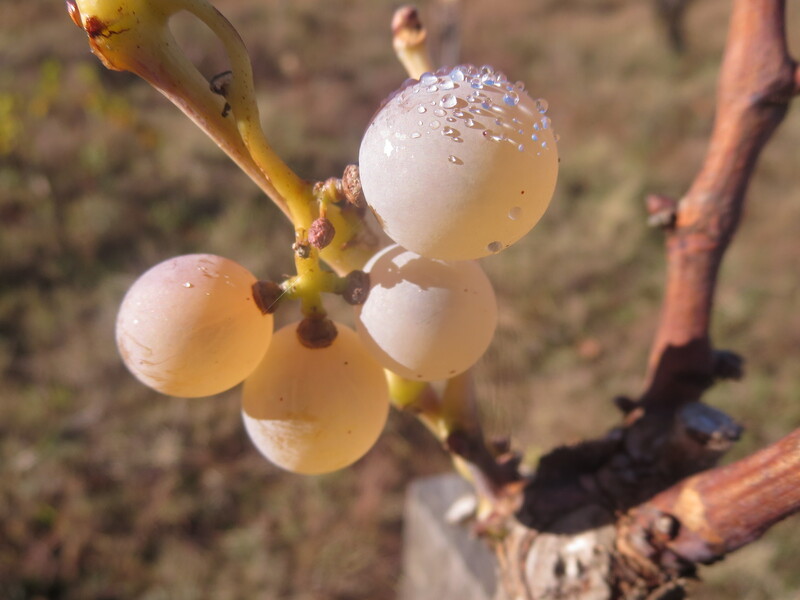 Their fruit has gone except for a few overlooked grapes which the birds, wasps and insects have been enjoying. 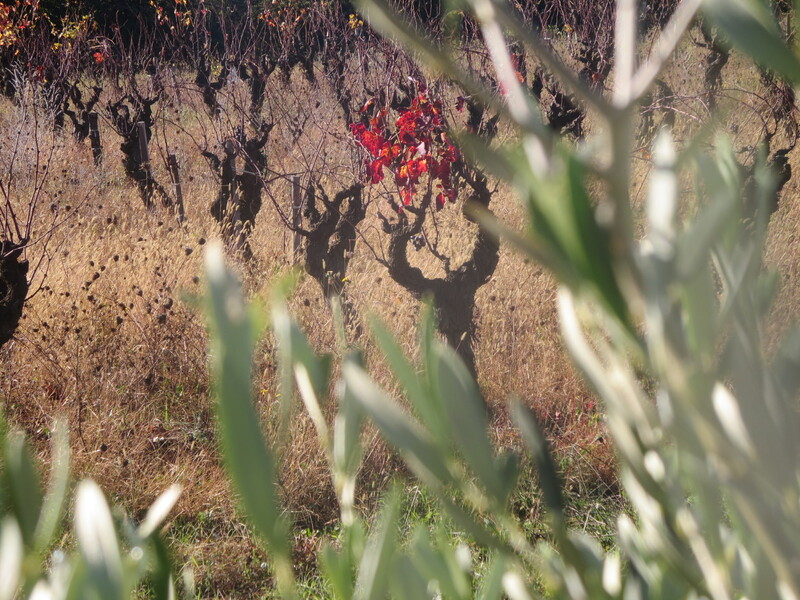 Their leaves are shedding and the skeleton of the vine stands out again for the first time since early May, their form revealed, cordon or guyot for example. 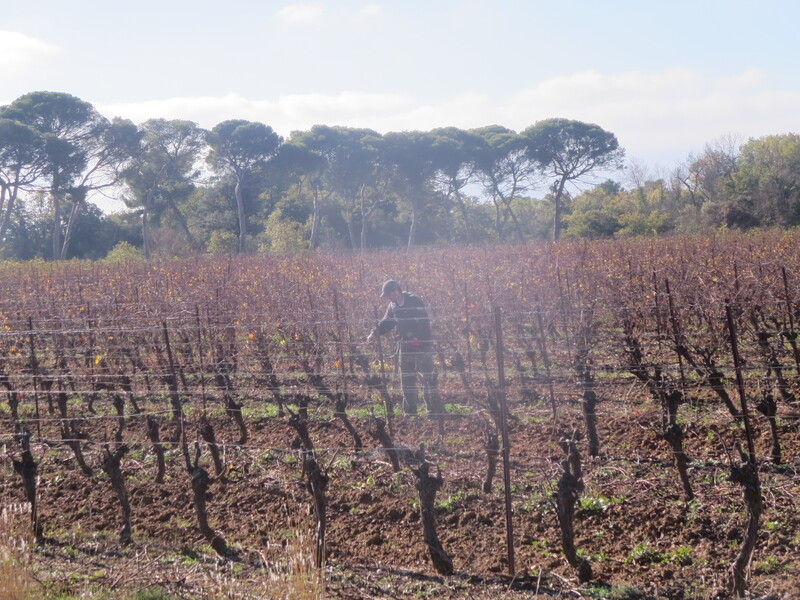 Indeed, some vignerons have actually started to prune again ready for 2016. 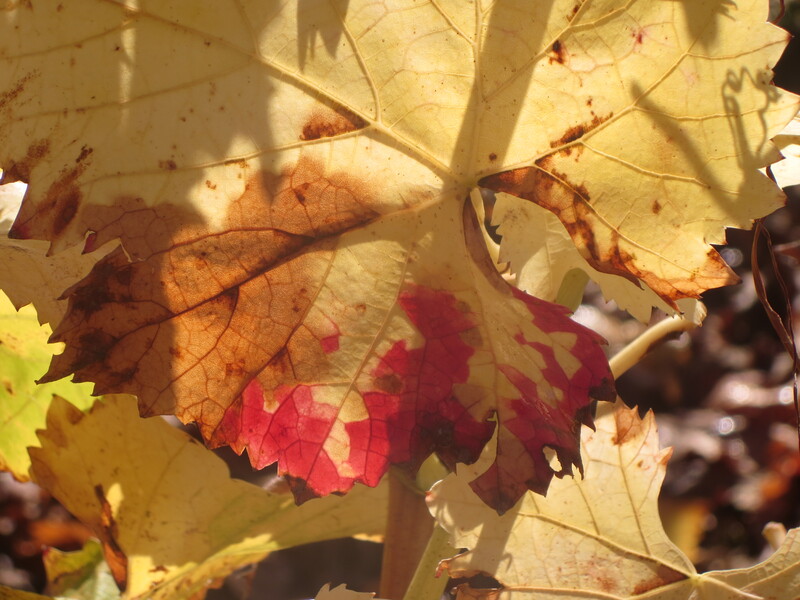 I suspect they are working to a pre-prepared timetable as the vines have been slow to lose their leaves and still show some life. At Mas Coutelou the taille will not take place until next year and most top vignerons will leave it until then, just before the growing season. The extra wood helps to protect against frosts for example. 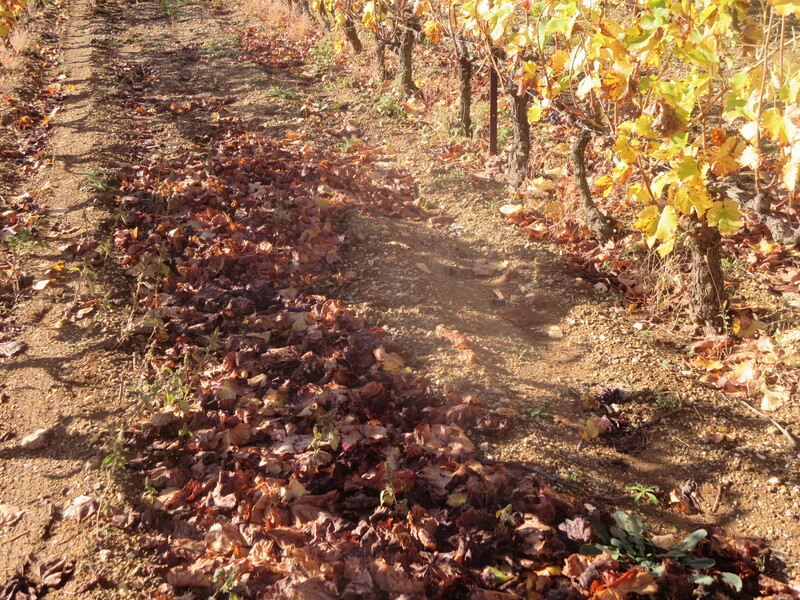 Some vignerons are starting to cavailloner, in other words to move earth from between the rows of vines towards the plants themselves, the extra soils will again act as a blanket against the frosts. Other jobs remain to be done. After the months of busy vineyard work and harvest it is a time for sending wine to be sold. 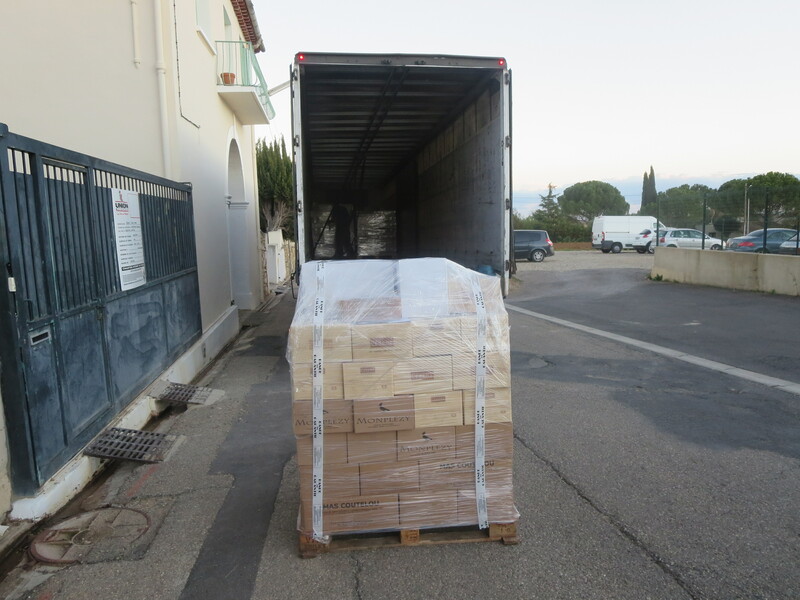 Pallets have left Puimisson to cavistes and restaurants around the world. Last Friday, November 6th, they set off to Germany, Finland and various regions of France. More have already gone to New York, London, Melbourne amongst many cities. The season of salons has started in earnest too. 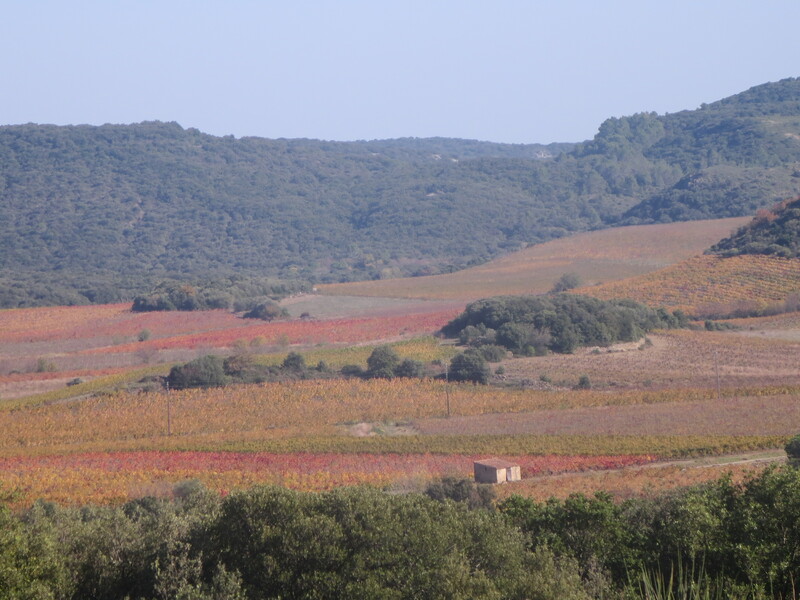 This weekend I was in the Roussillon for La Bande De Latour, highlighting many of the best natural wines of the Roussillon and elsewhere. The following day I was in Autignac for a tasting of some of the best Faugères wines and also their fines or brandies. I shall post about these soon. I was talking to the excellent Hausherrs, vignerons who had driven to the Pyrenees from Alsace for La Bande, a long, long way. Hard work. In the next few weeks Jeff will be starting to assemble the wines for the main cuvées of 2015, the likes of Classe and Vin Des Amis. Decisions to be made about what proportions of which cuves to blend for the wines. Sadly, I shall miss this process as we head back to the UK for a wedding. Into every life a little rain must fall. 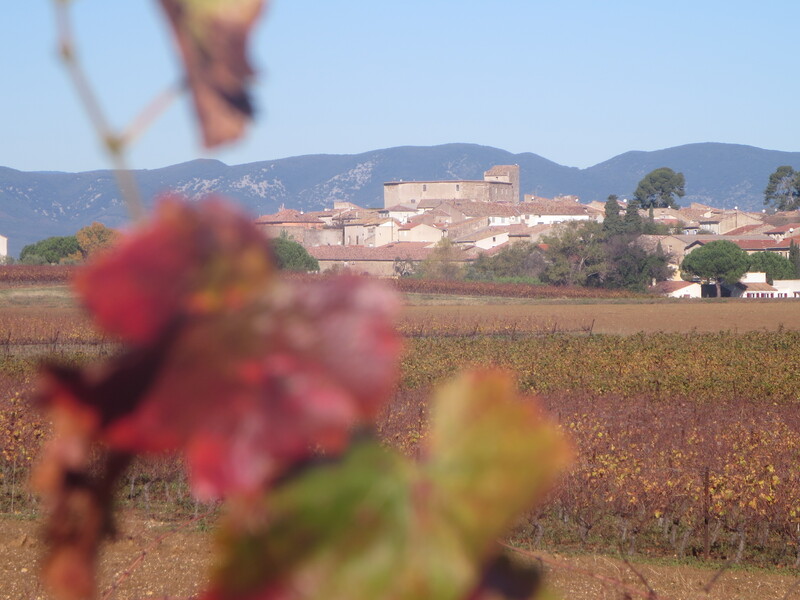 It has been a beautiful autumn, the weather and the vendanges have made it a magical time. Thanks as ever to Jeff for allowing me to share the experiences and insights of the season. Categories: Vignerons, Vines, Wines | Tags: assemblage, autumn, cavailloner, Languedoc, taille | Permalink. Lovely, evocative post, Alan. 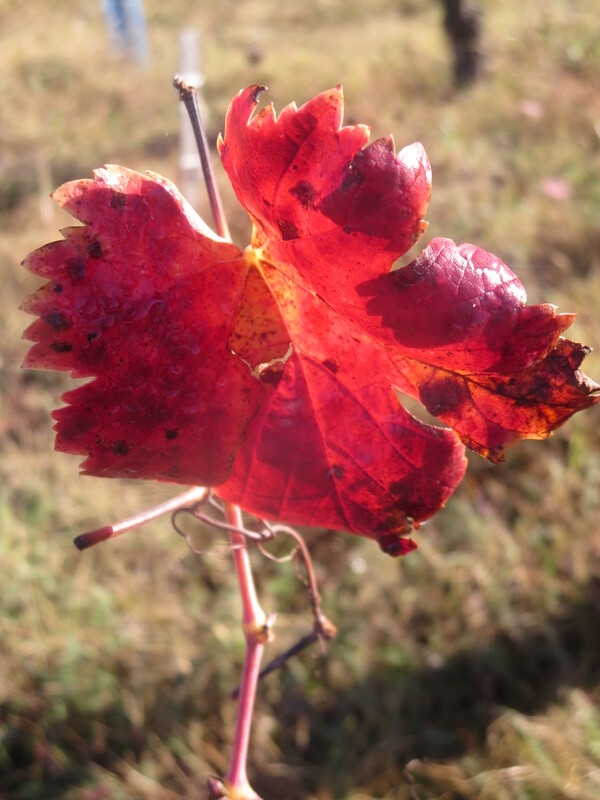 I love autumn in the vines. Ours at home have lost most of their leaves and it will be time to prune before we know it. The allotment vines will need pruning hard. The photos are really nice. Funny you should mention leaves. I’ve had two days with train delays affected by “leaves on the line”, and last night, following the Beaujolais dinner, I just made a fast train (11.07) with two minutes to spare only for the driver to apologise that we were stuck behind a 50 mph max “leaf removal unit”. Still, home by 12.30 isn’t too bad for a Tuesday night!!! As you know, I’m a music fan as much as a wine obsessive, but I never really got Eva Cassidy (apologies to, probably, most of the known world). I don’t deny her amazing voice. Perhaps it’s the songs. I should try again. If I ever wrote a song about leaves it would therefore have to be a punk rant. It has been a most beautiful time David, thank you. Leaves on the line, sigh. I do envy you all your tasting events, you do many more than me!! This song is beautiful, Nat King Cole’s version is great too but this carries a lot of emotion and memory for me.